By Christine Allison | 1 year ago The French family could have lived anywhere. They chose Oak Cliff. This is their story. By Sarah Bennett | 1 year ago Joe Minton sets a timeless table in Forth Worth. By D Home | 1 year ago Striking vessels locally sourced from TENOVERSIX​, Forty Five Ten​, the Dallas Museum of Art​, and more. By Jessica Elliott | 1 year ago How a team navigated the historic neighborhood's strict regulations. By Caitlin Clark | 1 year ago The Nasher Sculpture Center's Donald Fowler offers his best picks. 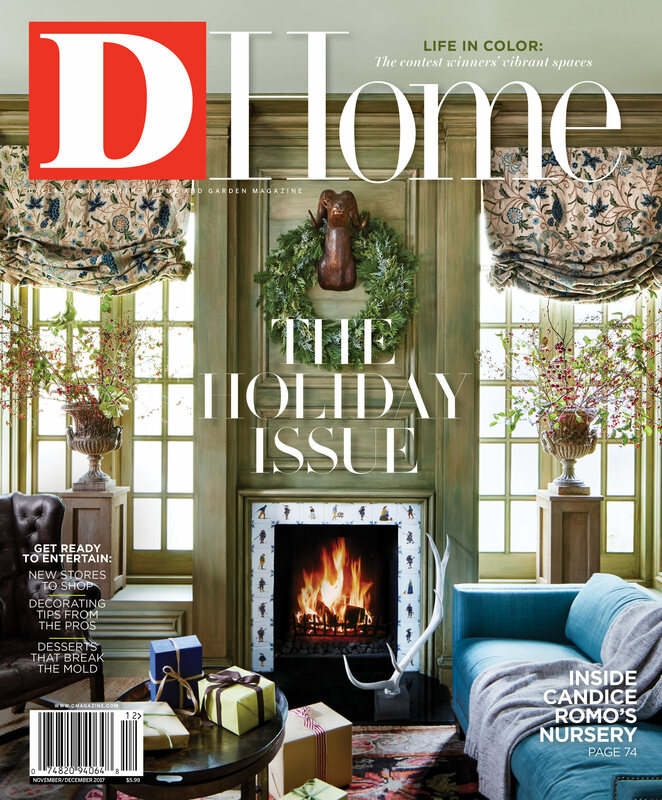 By D Home | 1 year ago The best places to grab your holiday greenery. By D Home | 1 year ago Here’s a quick look at just how far your money will take you. By Caitlin Clark | 1 year ago From Avant Garden's glorious new space to a groovy Oak Cliff boutique. By Caitlin Clark | 1 year ago A retail veteran's reimagining adds a sense of humor to the well-edited Arts District space. By D Home | 1 year ago Light up your holiday party with these incense holders and sticks. By D Home | 1 year ago One contest. Two winners with contrasting rooms. Both prove that decorating with color is a bright idea.